Commonly called a "slip and fall" or premises liability case, these instances cause personal injury when a person slips, falls or trips on a surface. The Brod Law Firm slip and fall injury attorneys represent Montgomery County, Pennsylvania area clients in these types of cases when the slip and fall was the result of negligence on the part of a property owner or manager. We see numerous claims of slip and fall type accidents in Montgomery County since it is one of the largest counties and has a variety of types of properties some very old and poorly maintained in rural, suburban and commercial locations. In most common slip and fall cases, the victim falls because the surface is unexpectedly slick or irregular. If this unsafe surface was preventable, a negligent property owner may be liable for the injuries the victim sustained. The key is "negligent" property owner. This office receives many inquiries about injuries on another's property, but an injury alone is not enough to cause a property owner liable for damages. Common injuries sustained during slip and fall cases include minor bruising and broken bones to major back, neck and head injuries. If you or a loved one was a victim of unsafe conditions, The Brod Law Firm encourages you to contact our personal injury lawyers in Bala Cynwyd today! Each year, The Brod Law Firm personal injury attorneys help Bala Cynwyd, Pennsylvania victims receive compensation for physical and mental injuries. Our Bala Cynwyd slip and fall injury law firm is very convenient to many areas, the Main Line, i.e Merion, Merion Station, Haverford, Upper Darby and Havertown as we are close to City Line Avenue and approximately one mile from Route 76 (Schuylkill Expressway) and located at major public transportation lines. We are near the Philadelphia areas of Manyunk, Roxborough, East Falls, Overbrook Park and West Philadelphia. At The Brod Law Firm our personal injury attorneys have been the voice for victim's rights for over three decades. 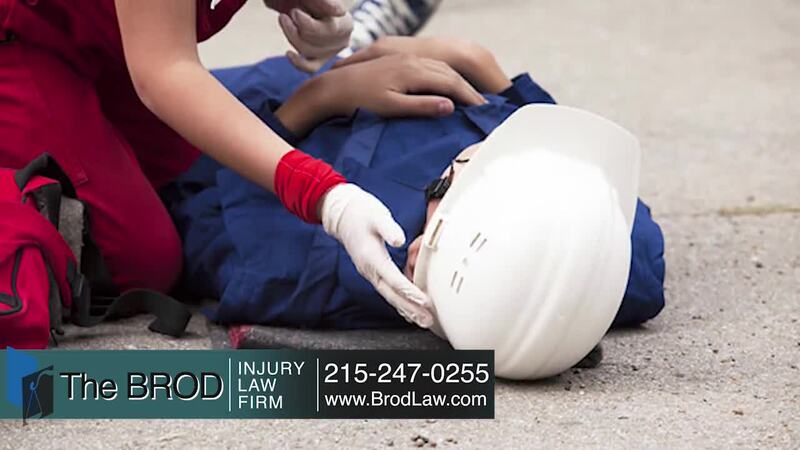 Contact The Brod Law Firm today to speak to one of our experienced Bala Cynwyd slip and fall lawyers. Call Gary Brod anytime at 888-435-7946 (888-HELPWIN) for a free no obligation consultation and explanation of your legal rights. We also have the option of easy phone sign-up process and online and we can begin work today. Even if you are not sure you have a case it will not cost you anything to call for free advice.